Select fueling locations to load map. For Sweden move the cursor around the small map to obtain zoom function. 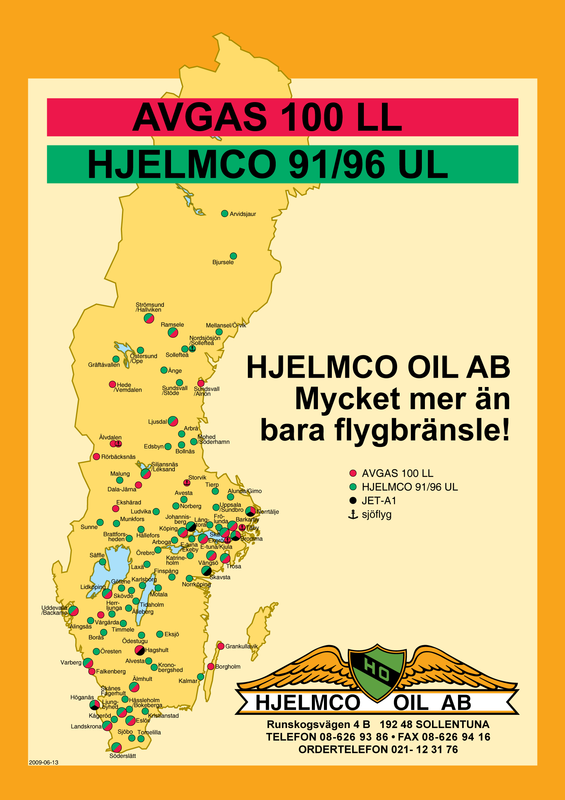 A green dot is unleaded AVGAS 91/96 UL, a red AVGAS 100 LL and a black dot is JET-A1.